FL Car w/Clean CARFAX! Serviced! Right Colors! Premium Pkg! harmon/kardon Audio! Dual Sunroofs! 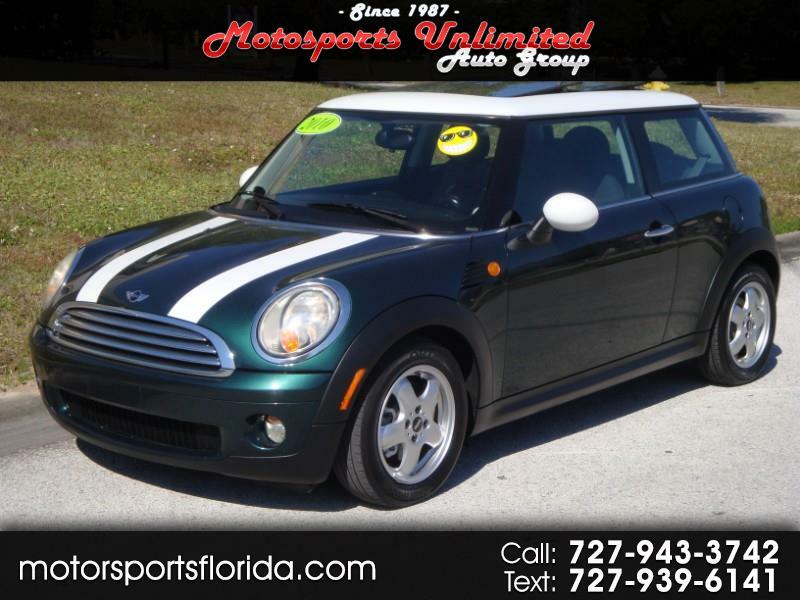 Florida-owned since new with a clean CARFAX, Premium Package, dual-pane sunroof, and finished in the best colors, this Cooper is an impressive value for the money! A push of the START button brings to life a compact yet potent 1.6l 4-cylinder under the hood that pumps out 118hp for lively acceleration from a standstill with plenty of oomph in reserve to set the pace out on the open road. Paired with a slick-shifting 6-speed automatic with Sport and full STEPTRONIC modes, this Cooper is an absolute blast to drive and returns an impressive 36MPG highway! And yet all this economy comes without sacrificing interior comfort and versatility as this MINI can be quickly loaded up via a wide-opening rear hatch while split-folding rear seatbacks allow even the bulkiest items to be carried along. With seats upright, four ride in comfort on plush cloth upholstery in a surprisingly-roomy cabin with easy-tilting front seatbacks for quick access to and from the rear. Dual buckets up front feature dual recliners, dual height adjusters, and a useful center console with armrest. A bevy of features include electronic climate control, a 10-speaker harmon/kardon AM/FM/CD stereo, steering wheel audio controls, Bluetooth connectivity, power windows, power door locks, power mirrors, leather-wrapped tilt/telescoping wheel, driver info center, auto-off headlamps, remote keyless entry, variable-speed wipers, dual gloveboxes, electric rear defroster/wiper, and more! Safety is ensured with 4-wheel antilock disc brakes w/panic assist, dual front airbags, side-impact airbags, side curtains, traction control, and stability control. With 15" 5-spoke alloys, chrome grille and moldings, polished exhaust finisher, foglamps, dual white racing stripes, and white contrast roof, this MINI wears its signature look with pride. Florida-owned since new with no accident history and service records, this MINI is ready!----Call or text Brian at 727-226-3097 for more info, photos, or to schedule a test drive today!